We have a lot of customers ring us to say that their internet is down, or running slowly. We’ll do all the performance checks we can do, and have every indication that the line is performing just fine. This means that there will, in fact, be an issue with the WiFi. Unfortunately, this is not something that we support, however, we do have some quick tips to help you get up to speed! I recently moved into a new build flat with FTTP the only available connection and encountered some slower than expected speeds. The VDSL modem that the router connects too was conveniently (NOT!) placed in a utility cupboard which is about as far away from the living room as possible. This meant that a cable run was needed to get the router into a central location, away from walls, doors, mirrors and corners, or any other obstacles that could potentially block the signal path. Also, a handy tip I picked up was to keep the router as high up as possible. In a house, it’s a good idea to have the router upstairs, but in any room, the router must be kept off of the floor. A final element you need to consider is the to keep the router as isolated as possible. Ideally, you will have no other electrical activity occurring near the router. 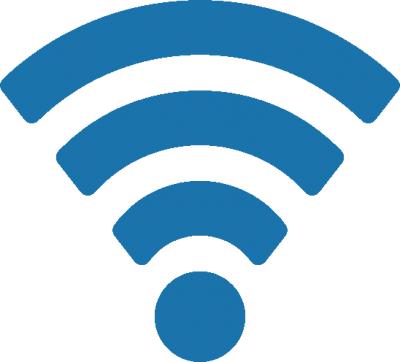 The more you have going on, the more interference there is for your wireless signal to compete with. This was something that was crucial to me – having FTTP meant that the number of suppliers was very limited. There was only a handful of suppliers available, and of those, the commercials were really only strong from one supplier – BT. This resulted in everyone in the building using the same supplier, and having the same router with the same setup. A part of this setup is the “channel” that the router is on. In my case, there was a strong chance that everyone in the building was on the same channel, so changing the channel of my router was crucial to improving the performance of my WiFi. If you seem to struggle with slow speeds intermittently, perform a power cycle of the router (turn it off, leave it for 10-15minutes to fully clear the session and switch it back on again). If this seems to do the trick for an acceptable period, at least a day, then it might be time to schedule automatic reboots of the router. A simple Google search will teach you how to do this in seconds! Place the router in a central location. Keep the router OFF of the floor. Isolate the router from other electronic interference as much as possible. Do you have any other tips you can add? If so, please comment below and we’ll add them to the blog!